HAWAII ISLAND: The breakout occurred at 1 a.m. Thursday morning, erupting from the lava tube supplying the distant flows on the June 27th flow field. "This breakout was still feeding a channelized flow to the north this morning," reported the USGS Hawaiian Volcano Observatory in their daily update. HAWAII VOLCANOES NATIONAL PARK – A large lava breakout on the northeast flank of Puʻu ʻŌʻō began early this morning, and now scientists are keeping en eye out to see how the event will affect the June 27th lava flow. 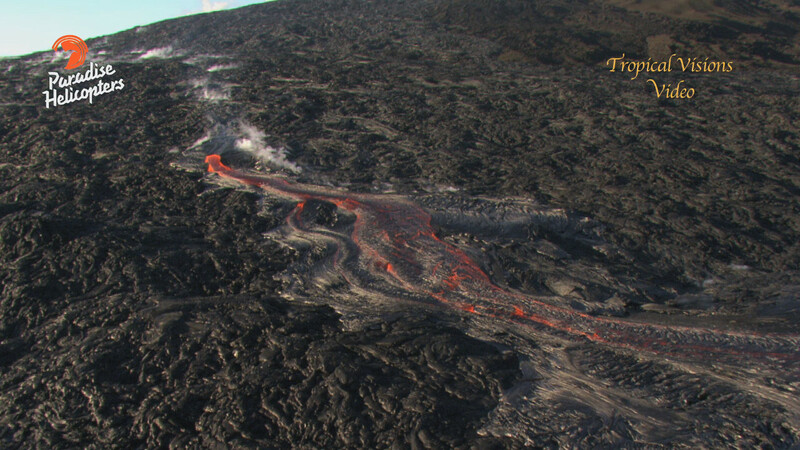 Wide view of today’s lava breakout, captured by Mick Kalber of Tropical Visions Video aboard Paradise Helicopters. None of the lava flows currently pose a threat to communities but are being monitored closely, scientists say. 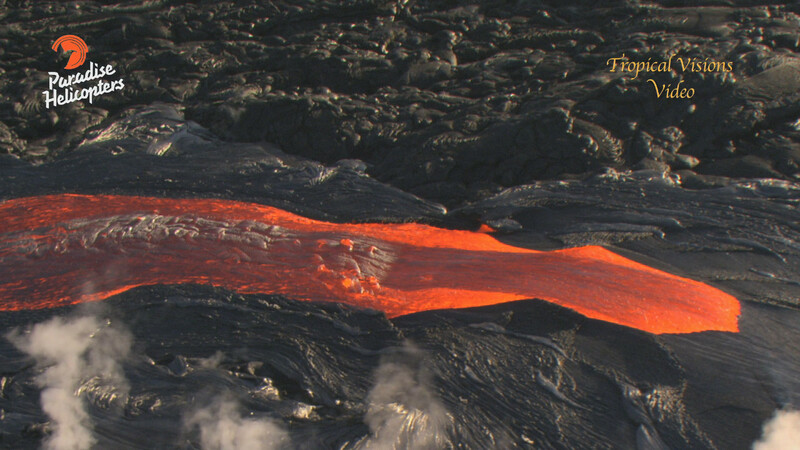 Today’s lava breakout was captured by Mick Kalber of Tropical Visions Video aboard Paradise Helicopters. Seismic activity continues across the volcano at low levels, and there was an earthquake with a preliminary magnitude of 3.8 that occurred at 4:39 a.m. this morning beneath Kīlauea’s south flank.